Pet corpses should now always be somewhere reachable by the player after the pet has died. Wearing the speed tunic or using the speed potions no longer allows you to run straight over holes and water without falling. The chicken boss no longer gets stuck on walls. Slime babies created by the slime boss no longer get stuck on walls. If you encountered the kitty boss as one of the first three bosses in beta4 it would have been impossible to deflect its fireballs with your sword. This has now been fixed. There's a bug causing keyboard input to be lost after going fullscreen on Mac OS X. I've added a workaround that should fix this. Pets low on health now return to the screen when the enemies in the room have been killed or when there's a heart available. The knight boss fight has been reworked. Text for the whistle has been modified to clarify that you do already need to have a pet before it's any use. The effect of the Missinglasses item is now automatically disabled when the item is unequipped. 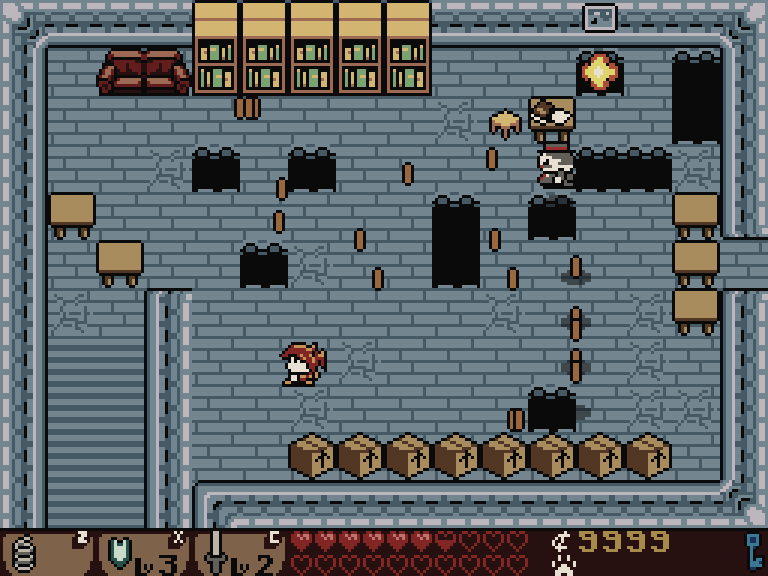 A few dungeon tiles have been tweaked for better legibility in dark color-schemes. The text that appears when you pick up a lost library book item has been improved to tell you how many you've found so far. 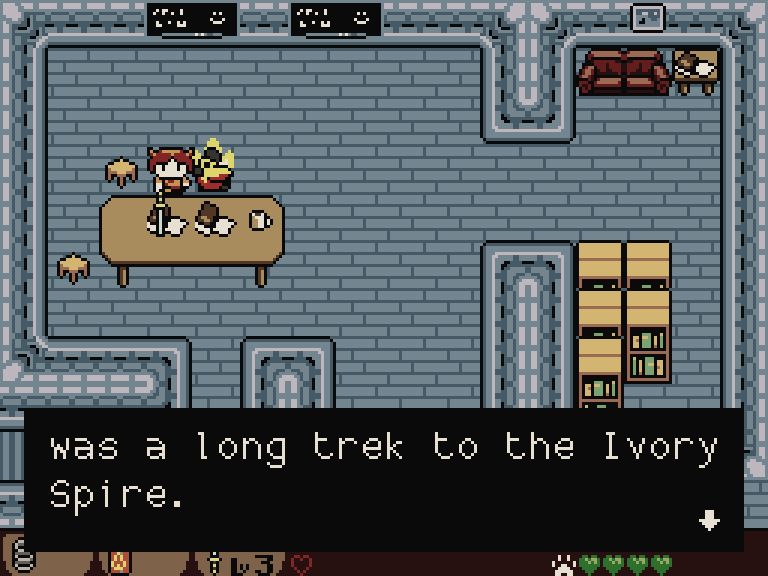 Items Lenna has a full stack of won't appear as drops quite as often. The version number is now included in the crash log, which will help with bug reporting. The cursor is now hidden in fullscreen mode. The effect of the Frugal and Undead potions/tunics is explained in a brief text box after you use them for the first time. Mr Cuddles's (kitty boss) pattern of attacks has been made slightly easier to anticipate. Random item drops now do not always re-drop from the sky when you enter the screen again. In the "Rescue the prince" quest, an extra hint is dropped that you need to return to the palace after finding him. 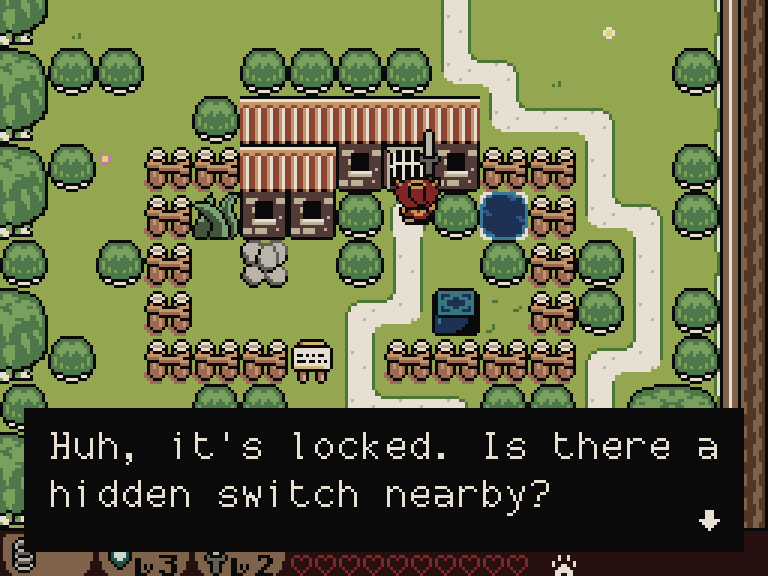 The triggers for the tutorial screens have been adjusted so that things make more sense in your first overworld playthrough.